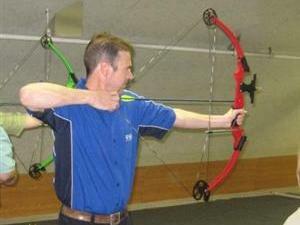 Learn all about bows & arrows (provided). Lessons taught by Mohawk Archery Club. Pee Wee: 8&9 year olds w/adult @ 5:45 to 6:30 p.m. Elementary: 10&11 year olds @ 6:30 to 7:15 p.m.
Senior/Adult: 12 & Older @ 7:15 to 8:00 p.m.
We have Pictures from previous lessons, if interested contact the office!